Despite its beauty the Queensland coast is renowned as a dangerous place for shipping, with hundreds of vessels coming to grief on coral reefs and rocky shores over the last 200 years. The resulting shipwrecks can be near-complete vessels sitting on or below the seabed, or a few rusting metal objects on the reef, pounded apart by waves, weather and rust. Wrecks can represent different things to different people. Some capture the romance and peril of the sea or the excitement of the explorers, such as HMS Pandora, sunk in 1791 on the outer Great Barrier Reef as it returned from Tahiti with the Bounty mutineers. 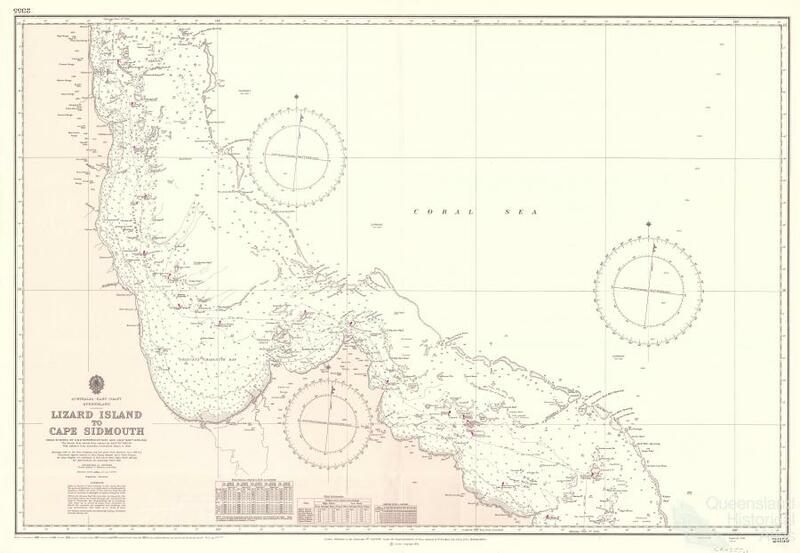 Other wrecks link to darker parts of our history, such as the labour trader Foam, wrecked on Myrmidon Reef in 1893 as it was returning indentured Solomon Island cane field labourers back to their homes. Many other themes in Queensland’s history are reflected in the shipwrecks, and the thrill of a wreck dive in the clear warm tropical waters has become one of the main attractions for locals and visitors alike. Some still associate wreck diving with treasure hunting and relics, although all wrecks and their contents are protected by the Federal Historic Shipwrecks Act of 1976. One of the incontrovertible truths of shipwrecks is that they were frequently the cause of loss of life. Sometimes these losses were individual family tragedies, with a loved friend or family member lost forever, often never to be recovered from their watery grave. Other times the deaths were catastrophic, touching whole communities and sometimes the whole nation. 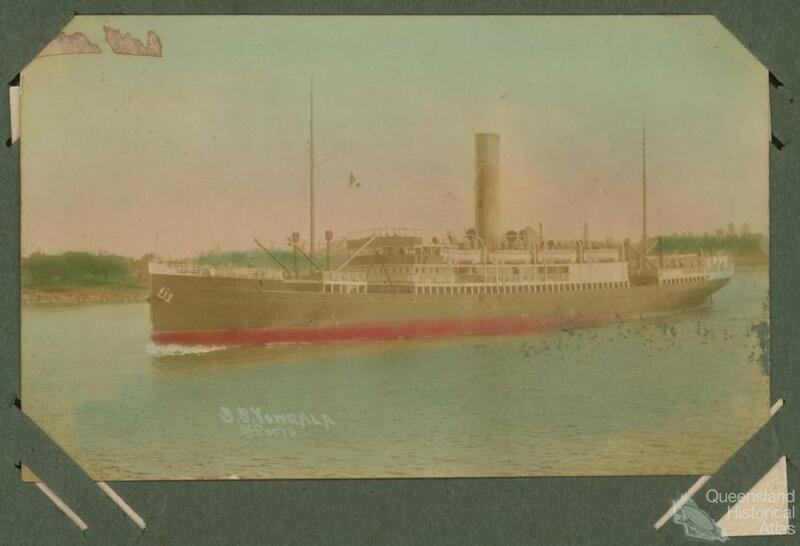 In 1911 the SS Yongala was en-route from Melbourne to Cairns when it steamed into a cyclone, sinking with all of the 48 passengers and 72 crew lost. At the time the loss was devastating for Queensland communities, especially in the north, with many people having family or friends aboard, or knowing people who did. 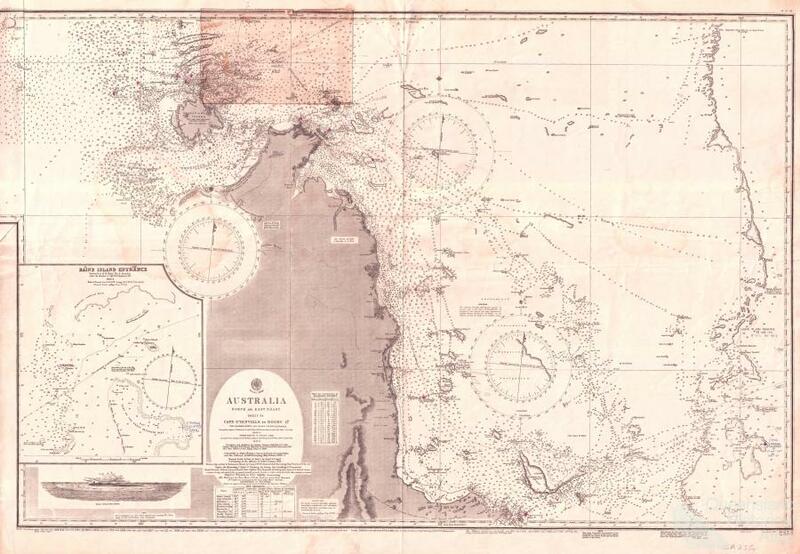 The location of the wreck remained a mystery until 1958 when it was discovered in 30 metres of water approximately 90 km south east of Townsville and 22 km east of Cape Bowling Green. The wreck rests on its keel and is remarkably intact, with human bones originally visible on and around the wreck. The hull has also become an artificial reef with a rich and diverse marine life and almost 10,000 people dive on the site each year for a memorable dive experience. However, for many residents of north Queensland the site is also the grave of their grandparents and great-grandparents, and a memorial to be respected in its own right. Another dramatic example of a wreck as a grave is the Australian Hospital Ship (AHS) Centaur which was attacked and sunk by a torpedo from a Japanese submarine off North Stradbroke Island on 14 May 1943. Of the 332 medical personnel and civilian crew aboard, 268 were killed while the 64 survivors waited in the water for 36 hours clinging to wreckage and floating debris before they were rescued. 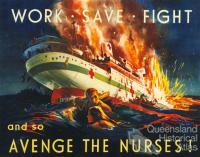 This attack on an unarmed medical ship was considered a war crime and outraged the Australian public. 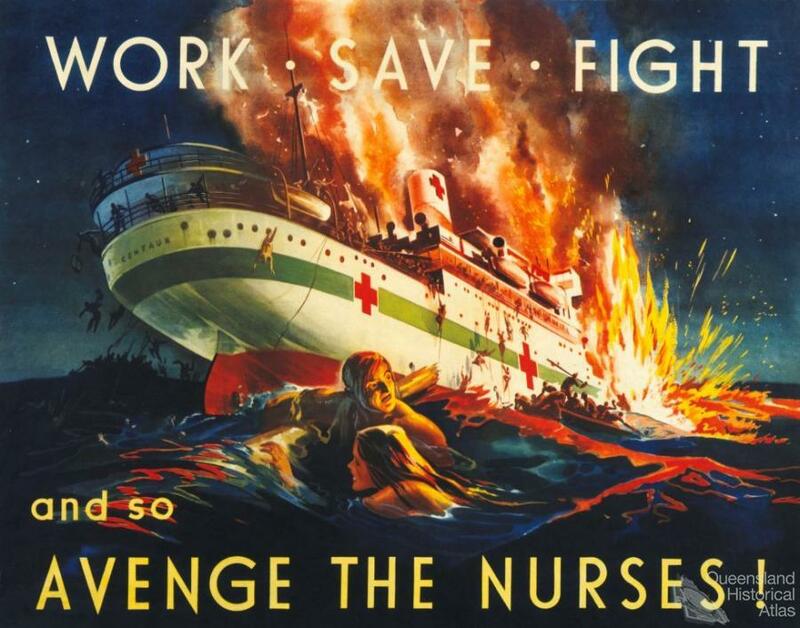 The death of the nurses became a powerful propaganda tool for the Allied war effort, with posters for war loans featuring the sinking ship aflame, with the banner ‘Work, Save and Fight and so Avenge the Nurses’. An image of the Centaur figures in the Australian War Memorial’s Hall of Memory mosaic commemorating women’s services, and annual services are still held at memorials in Caloundra and Coolangatta. Many descendants, including the children of those lost, were still alive when the Centaur was at last found in December 2009. The site is a war grave and protected under the Historic Shipwrecks Act of 1976. A very different type of maritime disaster was in 1899, when on 4 March cyclone Mahena struck the Torres Strait pearling fleet while it lay at anchor in Princess Charlotte Bay. The Category 5 cyclone included winds of as much as 325 km/hour and a storm surge of 14.6 metres which washed up to 5 km inland. By the next morning at least five schooners and 54 luggers had been destroyed, with 307 dead from the multicultural crews of Europeans, Aboriginals, Torres Strait and South Sea Islanders, and Filipinos. A stone memorial was erected on Cape Melville. It has often been the case that ships have sunk or wrecked in remote places and sometimes into deep waters, while the remains of those who have died are still within the wreck or have washed away never to be recovered. Shipwreck memorials and cenotaphs often take the place of a real grave, while several churches such as All Souls on Thursday Island have commemorations. One of the most interesting shipwreck memorials is to those who died on HMS Pandora when it sank in 1791. Human remains recovered during the archaeological excavation of the site were sealed in a concrete plinth and then returned to the site. These are some of Australia’s most tragic wrecks which occurred on Queensland’s coast. They show the way that wrecks mean different things to different people, sometimes changing over time.